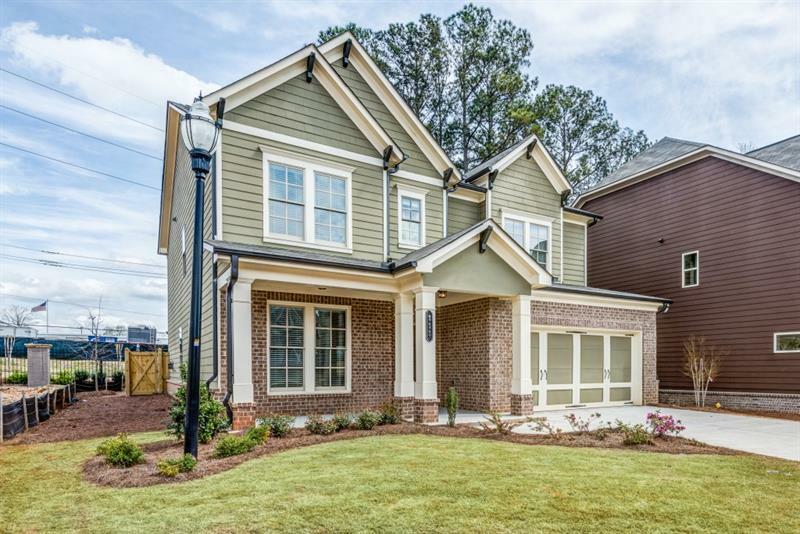 Final Opportunities at Smyrna Grove plus $10K in Buyer Incentives – Make your move today! There are two basement homes that will be ready for move-in prior to year ende and three non-basement homes that will be move-in ready within 30-60 days! Looking for wonderful detailing, a friendly community and luxury finishes in your new home? Come home to well-appointed luxury finishes such as hardwoods in extended foyer, kitchen,breakfast and powder room. When only the best will do, expect to be impressed with gorgeous detailing throughout the home including crown molding in foyer, kitchen, living area and master bedroom. Lot Homesite 2 – $459,263 |4 BR, 3 full & 1 half BA |Everglade Plan – Under Construction. 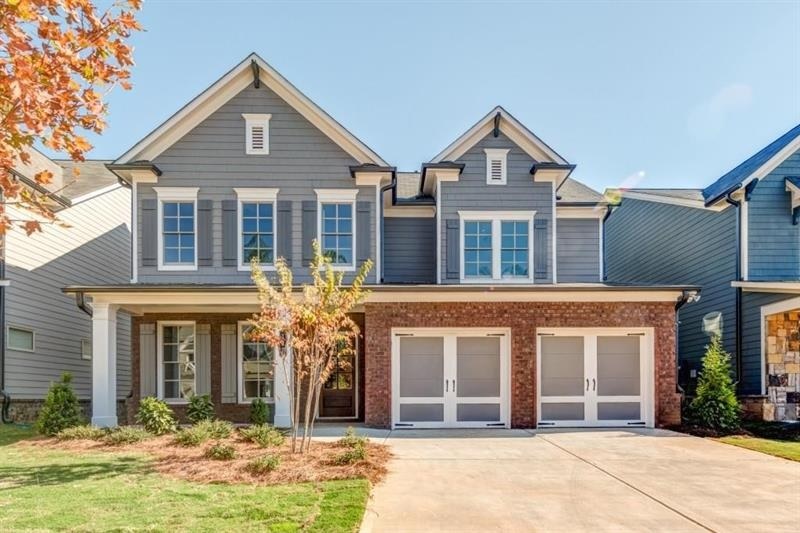 Beautiful Craftsman style master on main includes large front porch, formal dining room, gourmet kitchen offers plenty of storage & a large center island open to breakfast room & family room! Upstairs 3 secondary bedrooms &; a huge loft! Covered patio is perfect for outdoor entertaining! Lot Homesite 187 – $420,577 | 4 BR, 3 full & 1 half BA |Douglas Plan-Final opportunities to own a home in one of Smyrna’s most sought after neighborhoods! You’ll love this gorgeous Craftsman style home with an inviting front porch and open layout ideal for entertaining. Kitchen includes high-end applainces, huge center island and wall of windows. Let’s in plenty of natural light & tons of upgrades! 4 bedrooms, covered rear porch & fenced-in yard. The amenities are wonderful at Smyrna Grove, winner of the 2016 Community of the Year Award, where you can get out and enjoy the outdoors with peaceful walking trails or sip a drink and chat with friends and neighbors around the outdoor fireplace during the fall months. Smyrna has become a very exciting area with the building of Suntrust Park and great restaurants like J. Christophers opening soon in Belmont Shopping Center. Imagine living close but not in direct traffic of this exciting ball park plus enjoy The Battery open year round. Another unique neighborhood amenity is the “Windy Hill Trail”, a city-sponsored multi-purpose trail adjacent to Smyrna Grove. This trail will meander through-out the greater Smyrna area, encouraging local community activities and connecting neighborhoods, simply. From Atlanta: Take I – 75 North and take the exit for Windy Hill Road. Turn left onto Windy Hill Road. Follow Windy Hill Road to South Cobb Drive. Cross over South Cobb Drive and go one block. Smyrna Grove is located on the left. From 285 West: Take 285 West to Exit 15 South Cobb Drive turn right on South Cobb Drive. Take South Cobb Drive to Windy Hill Road. Turn left on Windy Hill Road. Go one block. Smyrna Grove is on the left. GPS – 515 Windy Hill Road, Smyrna, GA 30082. Call Christine Hammond 770-912-5277 or Daphne Nelson at 770-254-5412 or visit us online. Sales handled by Berkshire Hathaway HomeService – Georgia Properties – New Homes Division. *See agent for full details and requirements.